We were astonished to learn yesterday that in the U.S. an astounding 22 servicemen and women take their own lives daily after their return from combat. That’s about one-fifth of all suicides. Recruits are often sent off to fight in senseless wars and return home traumatized and in a great deal of pain, whether it be spiritually, emotionally, physically or all of the above. Servicemen may end up feeling angry all of the time, with a sense that a part of them was left somewhere behind. Our bombs too frequently kill civilians, even women and innocent children, and we leave it to our troops to deal with the devastation. It’s clear that service overseas in brutal and violent wars such as those fought in Iran and Afghanistan take a toll on our veterans, but one might think that after returning to the safety and security of home and family, those wounds would eventually heal. 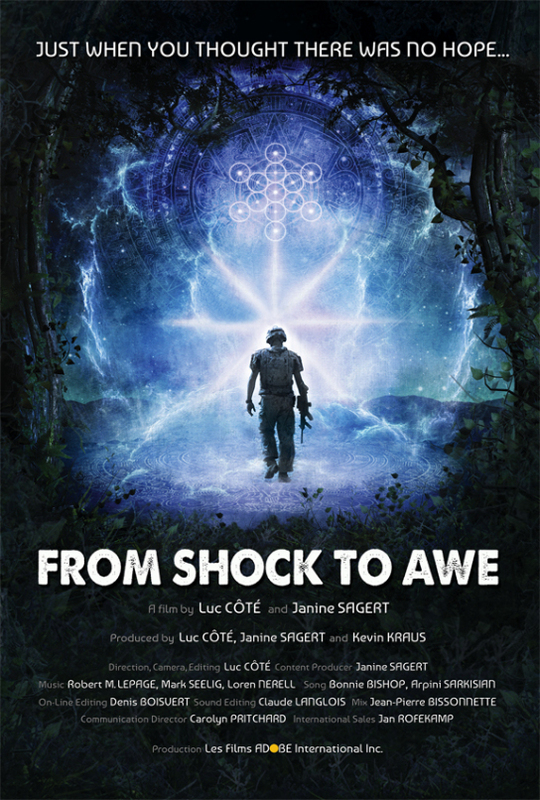 As was made abundantly clear in the new documentary “From Shock to Awe,” these psychic traumas not only don’t easily diminish in intensity, but prescribed pharmacological treatments aren’t effective. Their impact can wreck the life of the returning veteran by making him or her numb to genuine human feelings like love and compassion, and irritable and always “on edge” anticipating imagined dangers. Learning and concentration can also be greatly impaired. Family members become traumatized as well just by being in proximity. One serviceman in the movie, Matt, showed his four shelves of prescription pills, over 90 different medications over a four-year unsuccessful treatment plan managed by his doctors at the V.A. Nothing really helped. Of course, strong medicine can dampen the pain but it often leaves the patient with mental confusion, numb to the world and unable to function. But this movie was about miracles of nature. Many vets (and others) suffering from the effects of post-traumatic stress disorder (PTSD) have found natural plant-based substances to be of great benefit, even though each one is illegal for use almost everywhere in the United States, or at best, illegal for use in certain states. It’s very sad and wrong that our shortsighted lawmakers have failed to see the benefits of these solutions. But the reason seems clear when you consider that the pharmaceutical companies can’t make money on something they can’t patent. So what are these solutions? The first (as you might have guessed) is cannabis. One of the servicemen in the film explained that marijuana helps calm his nerves when he feels an anxiety attack coming on. His use of cannabis, contrary to what you might think, doesn’t leave him with a drug-induced “high,” but instead it has a calming effect on his nerves that helps him stay functional in life and family situations when the need arises. At this point in our culture’s experience with growing and cultivating different strains of cannabis, the optimum mixture of the active components of the plant can be determined and “prescribed” to meet individual needs. Dealing with anxiety is one thing, but as helpful as cannabis has been found to be by those suffering from PTSD, it doesn’t usually lead to long-term healing. The second “natural remedy” illustrated in the film is ayahuasca, a plant medicine derived by brewing tea from the of Banisteriopsis caapi vine with crushed psychotria viridis (chakruna) leaves. When combined they produce a powerful psychoactive compound which is taken orally in the form of tea. The formula for such a potent mixture has been known by shamans for millennia, and traditionally it was only the shaman who partook in order to bring the visions and wisdom to those who sought healing. The film follows the lives of two combat servicemen and their families, both of whom who served multiple missions in Iran and Afghanistan, and both of whom were damaged to the depths of their psyches. 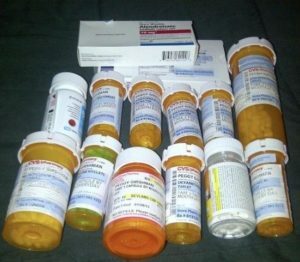 Cannabis use had given them enough relief that they were able to kick their prescription drugs, but they knew there was more healing to be done. 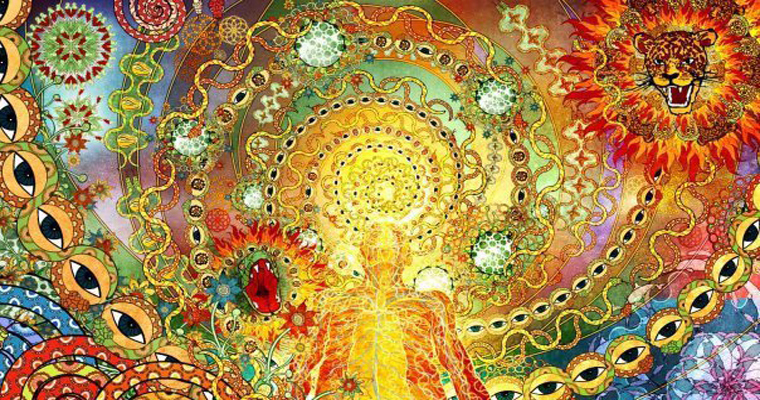 Choosing to try the ayahuasca route takes courage and commitment because the experience can reach to the depths of one’s soul, their reason for existence, and their personal relationship with Spirit. The journey can be a painful one because it requires one to come face to face with the obstacles, fears and mental patterning that has caused the pain and suffering itself. A healing experience with ayahuasca, which is ideally done ceremonially in a spiritually reverent environment with the help of an experienced shaman as a guide, often involves purging the negative elements (thought patterns, actually) from the body, typically through vomiting. If you’re looking for an experience of walking with Jesus through a sunny meadow, this won’t likely be the way to find it (although, who knows, it might happen!) but the freedom that comes with the love and connectedness to Oneness is life changing in ways that must be experienced to be fully understood. 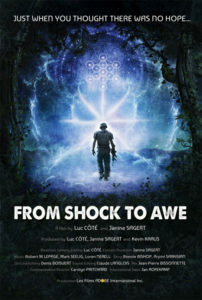 We found “From Shock to Awe” to be an emotional roller-coaster. At the beginning of the movie, the pain and helplessness of these guys was palpable as was their sincere desire to get help, for both themselves and for their wives and kids. The whole family was in crisis. Scenes of wartime, explosions, gun fire, tanks and the machinery of war were interspersed with scenes of everyday life to illustrate that they hadn’t been able to leave the war behind. 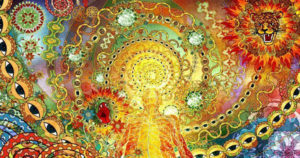 Both of the main characters experienced ayahuasca together at a spiritual retreat center in Florida, and both felt a profound sense of relief as a result. It was clear that they had regained their spiritual center, and their ability to love and be loved. It was beautiful to behold. We also got to meet their spouses, both of whom were also suffering from trauma (one from wartime as a vet herself, the other simply because of her service to her suffering husband). Each of the spouses had breakthroughs as well using these plant-based approaches (one woman used MDMA in a clinical environment for her successful treatment). While the focus of the film was on the PTSD too often suffered by our veterans, these psychoactive substances have been found to have value for a variety of other conditions, including depression, anxiety, and addiction. Once legal in the US, some plant medicine was reclassified in an attempt to squash the counterculture movement which began in the 1960’s. Given that these substances are believed to be non-toxic, non-addictive and able to be used safely and effectively, we are pleased that studies are now underway in various countries. While these plants are currently considered Schedule 1 drugs in the US, there is hope that this will change. May you and those you love experience all of the health, beauty and joy that love has to offer. With nearly 60% of the body being made of water, it’s surprising and unfortunate that water takes a back seat to carbonated soda as the most popular beverage in the United States. It’s a scary statistic, not only because of the dangerous impact sugary drinks have on the body, but also because the body requires ample amounts of water to help balance all of its fluids, digest food, transport nutrients, and regulate its temperature. So basically, water is your body’s superpower. Drinking enough water allows the body to release toxins through sweat and urination. Water is necessary for the digestion of food and to prevent constipation. Choosing water over a soda saves on calories since water has none! It also works to remove the by-products of fat and reduces hunger. When you drink a full glass of water prior to a meal, water can help to keep you from overeating. Your brain is over 70% water! Drinking water helps you with focus, concentration, and energy. Water is the number one anti-aging treatment there is. It moisturizes your skin and keeps it soft and smooth. If that isn’t enough, it also decreases wrinkles! Adding lemon, lime, mint, fresh berries, cucumber slices or essential oils (remember, quality counts) to water is a good way to switch it up so that you can be sure to get the ounces in! Making a practice of having a glass of water whenever you take a bathroom break is a great ways to remember to drink up. Having a glass of water between every meal helps with hydration, and can also help to curb your appetite. Use a water tracking app to keep track of how many glasses you drink. A simple Google search will reveal plenty to choose from, many of which are free or very inexpensive. My favorite way to stay hydrated is to enjoy plenty of water-packed foods. Fresh fruit and veggies are the best sources, especially cucumber, celery, citrus, grapes, lettuce, melon, tomatoes and zucchini. Coconut water is a superior way to increase hydration and I strongly recommend choosing it over Gatorade, which is loaded with GMO sugar, “natural flavors,” (whatever that means) and, in some cases, coloring and brominated vegetable oil. So, how much water should you be drinking? The answer varies. Some suggest at least 8 (8-oz.) glasses a day, and some suggest that the best way to determine how much is to take your body weight, divide it in half and that amount in ounces. It’s a little different for everyone, but one way to increase your intake is to choose water over other beverage options. Always choose purified water, minus the chlorine and fluoride, a known neurotoxin. Fluoride has a tendency to accumulate on the pineal gland, which among other negative side effects, can interfere with sleep and cause weight gain. From an energetic perspective, the pineal gland is also believed to be our spiritual antenna. Got Interference? 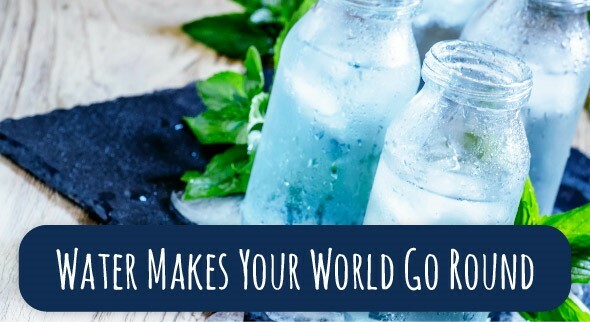 Water is a complex topic, with lots of filtration options, including but not limited to ionizers like the Kangen machine, whole house point of entry systems, reverse osmosis filters that replace the minerals lost with that type of filtration, and more. I should know. We use them all. As the Native Americans say, “Mni Wičoni.” Water is life! 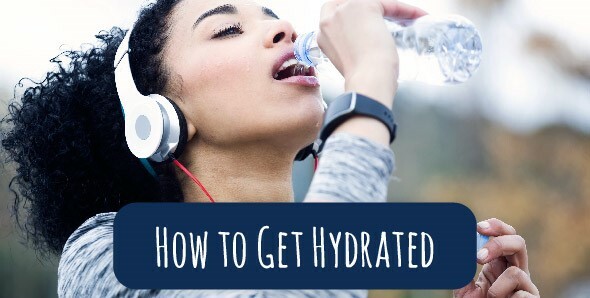 What do you do to stay hydrated? I’d love to hear about it. SLEEP. 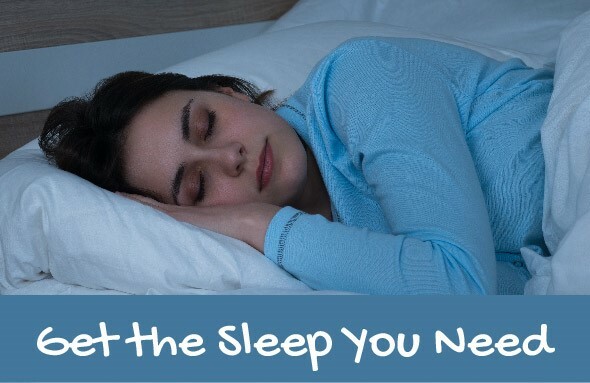 Are you getting enough SLEEP? Most of us know that a good night’s sleep is really important, despite the fact that we don’t always make getting the amount of sleep our body needs each night a priority. But if you have ever spent a restless night, you are well aware how you can feel the next day–irritable, tired, and out of sorts. If you’ve experienced insomnia, whether temporary or chronic, you may be wondering what can be done for it, outside of medicating. Luckily, there are some steps you can take to avoid the grogginess or habit-forming nature of many pharmaceutical drugs. It’s best to avoid spicy, sugary, and greasy foods in general, but especially before bed since they can cause heartburn and restlessness. Caffeine and alcohol can have a similar effect, especially when consumed in the evening. Set a routine that you follow each night, and get up at the same time each morning. 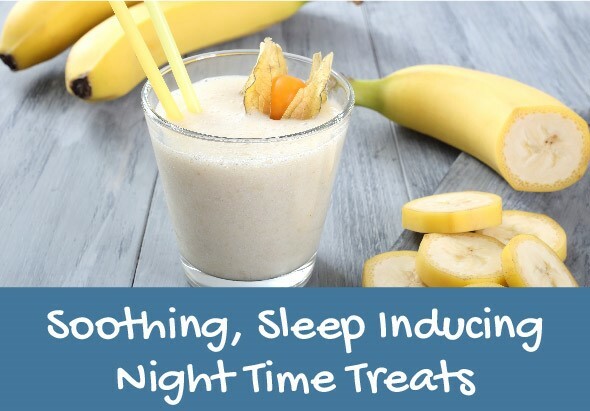 If need be, you can work up to this, for example, by retiring 15 minutes earlier each night until you reach a bedtime that will allow for a full night’s sleep (typically about 8 hours). Performing sleep inducing exercises can help relieve stress and restlessness. Yoga or any aerobic exercise is especially good for sleep, preferably when performed earlier in the day. The blue light that cell phones, computers, and tablets emit suppresses naturally occurring melatonin, the hormone responsible for regulating sleep. It’s best to eliminate gadget use in bed and limit it at least one hour prior to your bedtime. iPhones have a night shift option that you can pre-set to automatically dim your phone during a specified time frame. You can also purchase special blue blocker glasses that offer protection from the effects of the blue light. Lavender and chamomile are wonderful for supporting restful sleep. Mix 1 cup of purified water and 4–5 drops of your essential oil of choice in a spray bottle. Mist around your bedroom before going to sleep. You can also add a couple of drops of the oil to a diffuser or apply some directly to the bottoms of your feet (most easily absorbed there). Be sure to choose essential oils that have been responsibly sourced and properly distilled. Reach out to me if you need help. Turmeric Golden Milk is another wonderful sleepy time option. It also helps to balance blood sugar and reduce inflammation. Place all ingredients in a small saucepan on medium heat and stir continually until it turns into a paste. Remove from heat and let it cool. Store in a jar in the fridge for a few days. Note: Black pepper significantly enhances the absorbability of the turmeric so make sure you include it. Chemistry my friends! Place all ingredients in a small saucepan on medium heat, stirring constantly, taking care to prevent it from boiling. Turn off heat, stir in sweetener and enjoy. If convenience is your thing, Gaia Herbs makes a delicious premixed Golden Milk blend of turmeric, dates and herbs. You can get some here. There’s no denying that stressful situations are a part of life. And that stress gets compounded when we carry it to bed with us and wake up with it the next morning. Not the best way to start the day! That’s why it’s so important, necessary really, to take some time each day to sit quietly with our thoughts, pamper ourselves, or to just relax. I know what you’re thinking: “who has time for that,” “I’m too busy,” “that would be selfish” — I call B.S and want to remind you that you can’t draw from an empty well. Self care is NOT selfish! Stress also has an acidifying effect on the body, making your inner terrain the perfect environment for illness. There are many ways to reduce your stress, including eating healthy, exercising, practicing meditation and conscious breathing. 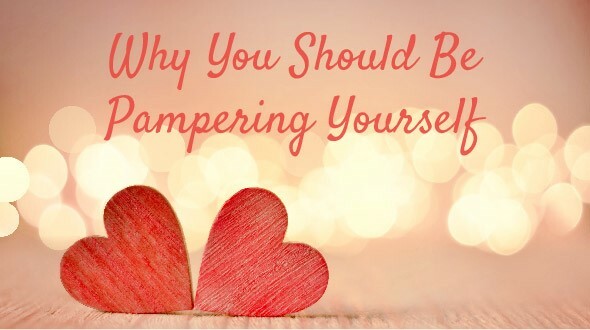 You can also carve out some time and create a spa day for yourself at home. And guess what, it doesn’t cost much! Make yourself a pitcher of lemon water with fresh mint to treat your senses. Put on your favorite tunes. This might be something calm and relaxing, or it might be that album from “back in the day” that you still love. Candles! Why not? Light a few in your bathroom and enjoy a lovely soak in the tub. Bonus: candlelight is naturally calming. Tea lights in a pink Himalayan salt candle holder offer added benefits. A calming foot soak is great before that mani/pedi. And it is as easy as pouring warm water into a bowl with Epsom salt, olive oil, and your favorite essential oil. Pamper yourself with a fresh coat of polish on your fingers and toes! Plan ahead and buy yourself a new color. Choose non-toxic products of course. Try a natural mask to smooth, soften and cleanse your skin. After trying a number of DIY recipes, my favorite is still doTERRA’s Detoxifying Mud Mask found here. Coconut oil is a great hair treatment. Simply massage it into your scalp, all the way down to the ends of your hair. Leave on for at least 15 minutes, shampoo out, and enjoy your soft, lustrous locks. 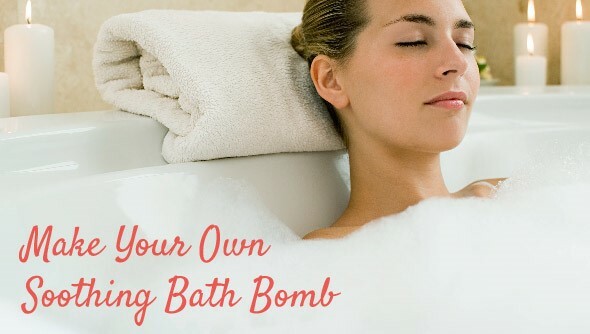 Elevate your bath with a soothing bath bomb – a dry mixture made to dissolve in water and release essential oils, scents, flowers, or bubbles into the bath. A wonderful DIY recipe follows. Place dry ingredients in a large bowl and mix until combined. In a separate bowl, combine the oil, witch hazel and vanilla extract and stir well. Add essential oils if using. Add the liquid ingredients to the dry ingredients a few drops at a time. Mix well with hands. The mixture should hold together when squeezed without crumbling. You may need to add slightly more witch hazel if it hasn’t achieved this consistency yet. Quickly push the mixture into molds or greased muffin tins. Press in firmly and leave at least 24 hours, or until hardened. When dry, remove from molds and store in airtight container. Use within 2 weeks. Many of us associate the word gratitude with the act of simply saying “thank you” to someone for a kindness shown to us or others. But gratitude is far more than just a reaction associated with being thankful for something. It is actually a coherent emotion, and a deep appreciation of someone or something. Gratitude is a state of mind that we create when we affirm good in our lives that comes from outside of ourselves or from relishing in small pleasures. We all have those precious blessings in our lives that we are grateful for, but gratitude does not necessarily have to come from our own circumstances. 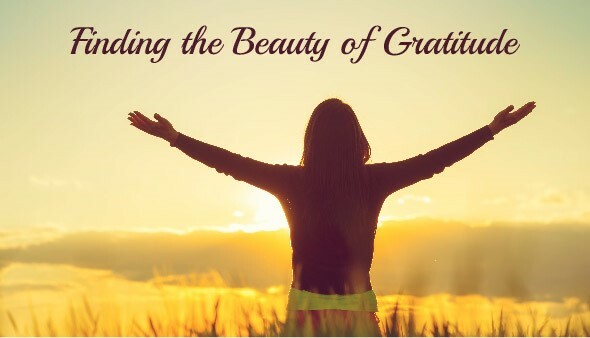 Practicing gratitude means developing an awareness that allows us to be grateful for things like good health, a delicious meal, a child’s smile, the air that we breathe, etc. It is a deeper appreciation of life in all its moments. This includes gratitude for what we may deem as negative experiences as well, because we understand the learning opportunity available to us. This is not meant to say that we should avoid our incoherent emotions like sadness, anger or fear for example. That would not be productive! What I am saying is that spending time and effort in gratitude for life’s myriad of experiences helps us to recognize when our attention shifts to lesser coherent states. This awareness is the first step in the work required to move through these so-called “negative” emotions. Expressing your gratitude can improve your overall sense of wellbeing. A focus on gratitude can increase optimism by shifting your energy to more positive emotions. The pursuit of happiness is subjective, but the satisfaction that comes from practicing gratitude has a lasting positive effect. Therefore, the more we practice gratitude, the more positive we feel, thus the happier we are with our lives. So, how do you enter into this state of mind? Starting a gratitude journal is a wonderful way to get in touch with what makes you feel grateful. To do this, get yourself a journal that is only going to be used as your gratitude journal. This is important because you want this journal to be filled with positive, happy experiences and emotions. It is good to be able to express all of your emotions, so consider having a secondary journal for all other expressions. 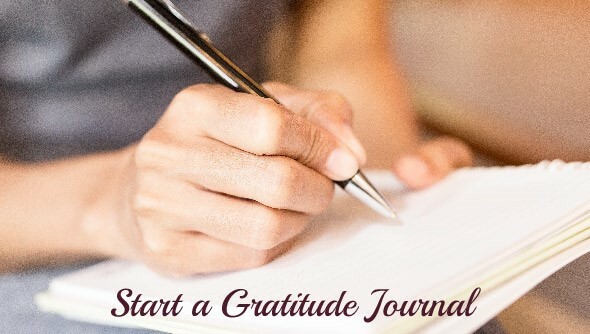 The purpose of the journal is to reflect on your day or week to pull out at least five things you feel grateful for. Before you begin your journaling, make sure you feel sincere about what you are about to write about, and try to focus your energies on both people and intangibles. Besides highlighting the wonderful things you can be grateful for, this practice has been proven to increase sleep quality, decrease symptoms of sickness, and increase happiness and joy. What are you grateful for? I’d love to hear about it. 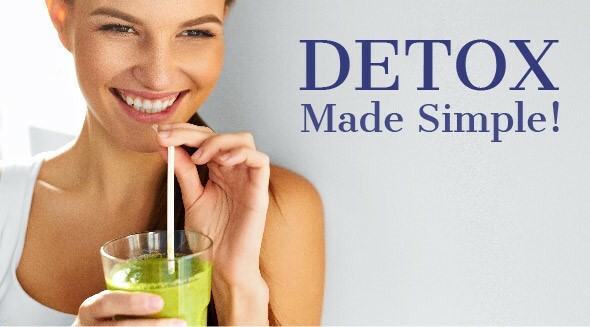 The word “detox” might conjure up images of someone starving on just lemon water and cayenne. Or, maybe you imagine a friend that did a juice cleanse and had a migraine for three days. 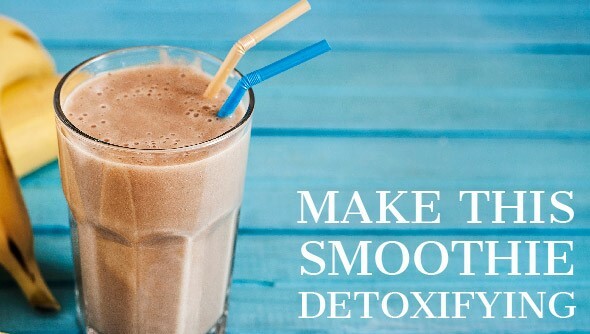 Detox doesn’t have to be that extreme! It can simply mean that you focus your efforts on changing some of your routines to help create a more balanced mind and body. Due to environmental exposure, we can become overwhelmed by toxins that enter into the body via water, air, food, pharmaceuticals, or other drugs. Start each day with a glass of spring or filtered water and the juice of one lemon to help flush toxins and alkalize the body. Be sure to also continue drinking water throughout the day. Drink a freshly made vegetable juice daily that includes hearty greens such as kale and spinach to help cleanse the cells of toxins. Or, if you really want to kick it up a notch, enjoy a tall glass of freshly juiced celery first thing in the morning like my husband and I do. Celery’s alkalizing, cleansing, restorative and nutritional properties give you a really big bang for your buck, as the saying goes. Eliminate toxic oils from your diet such as vegetable, peanut, and canola. Instead, use oils high in omega-3s, -6s, and -9s, such as extra-virgin olive oil, coconut oil, hemp oil, or avocado oil. Better yet, avoid oil altogether and get your fat from whole food like avocado, nuts and seeds, in moderation of course! Teas such as dandelion, milk thistle, and nettles are great for detoxification. Fruits and vegetables contain enzymes that improve nutrient absorption and aid digestion. Grapes, berries and melons are the best choice for cleansing, especially when used in combination with the right herbs chosen based on your body’s own unique needs. Avoid white sugars and any other artificial sweeteners, as they can toxify the body. Instead, opt for natural sweeteners such as dates, fresh fruit or maple syrup. Fresh fruit is my recommended choice. Consuming white flour overworks the digestive system and can cause digestive disorders. And much of the wheat being grown in the US is sprayed with pesticides that are having a negative impact on the gut. Coconut or flax wraps are a healthy and delicious alternative to commonly eaten grain-filled breads. 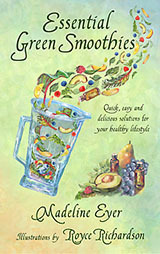 Place ingredients in a high-speed blender and blend until smooth. This smoothie is layered to look like a sunrise, so to get that gradient effect, blend the raspberries and other fruit separately and then pour in layers to create the effect. Of course, it tastes just the same and has the same benefits if you just throw it all together too. Remember, small changes can yield exponential results. Choose something from this list and implement it for one week and watch what happens. I’d love to hear about your progress. To say that we are living in extremely challenging and uncertain times right now is putting it mildly. Groups of people are being marginalized and treated inhumanely because of who they love, the color of their skin or their religion. Folks are struggling to make ends meet, homelessness is more prevalent than ever and being diagnosed with a serious illness is becoming common. Of course all of these things cause stress and anxiety. But there is hope. Anxiety is a common response to stressors, like being caught in up a dangerous situation, taking a test, or having to make an important decision. But, when anxiety becomes a constant response to situations it can be problematic. Anxiety affects many people throughout their lives. For some, it is merely situational, but for others, anxiety is constant and can lead to more serious disorders like generalized anxiety disorder, panic disorder, obsessive-compulsive disorder, and social anxiety disorder. I have observed this up close with a loved one and understand how debilitating it can be. Psychotropic drugs and cognitive behavioral therapy are the conventional methods for anxiety treatment, and with an estimated one-third of the population suffering from anxiety, it is no doubt that the number of medications is equally high. There are also many natural remedies that have been proven effective without the adverse side effects. And if you’ve been following me for awhile you know that is my jam! Consuming foods with a high glycemic index, like processed and fast foods, can contribute to anxiety and depression. Additionally, sugar and refined carbohydrates can cause blood sugar levels to fluctuate wildly, increasing anxiety, nervousness and fatigue. Alcohol and caffeine can both enhance anxiety symptoms by causing tension, moodiness, and the jitters. Reduce anxiety by avoiding alcohol completely. Limit coffee or black tea to no more than one cup per day. Ashwagandha, a powerful herb, is often used as a natural remedy for anxiety, as it helps to stabilize the body’s response to stress. Ashwagandha improves focus, reduces fatigue, and helps to fight anxiety without the attending side effects of anti-anxiety medications. Kava root is used to treat anxiety by stimulating dopamine receptors in the brain, which induces euphoria and a sense of wellbeing. It is a great alternative to anti-anxiety medications because it is non-addictive and non-hypnotic, but still increases positive mood and relaxation. Kava should be taken under the guidance of a health care provider, as it has been known to interact with certain medications. Because magnesium deficiency is common in adults, you should consider supplementing it, as magnesium is great for relaxing muscles and the nervous system. 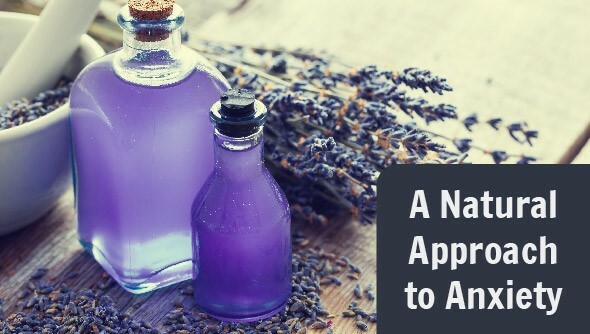 Lavender is a natural sedative, and it helps reduce anxiety by allowing the body to relax. Physical activity helps to reduce stress, improve sleep, reduce inflammation, increase energy, and boost confidence. It takes around half an hour of sustained exercise to see the effects on anxiety levels. Life is unpredictable and uncomfortable situations will undoubtedly occur. Incorporating some of these lifestyle changes has been shown to be beneficial. Note: always consult your trusted holistic medical practitioner before making any changes. Indoor air pollution ranks among the top environmental dangers, and the majority of that pollution comes from the cleaners that we use on a regular basis. Often we don’t even think to relate symptoms we have to the products we use! Yet, some of the immediate effects might be headaches, nausea, irritation to the nose or eyes, and dizziness. It’s kind of hard to believe that one of the top pollutants is caused by something that could be eliminated entirely. The problem is, then how would we keep our homes clean? The good news: there are options. Chemical-laden cleaning products aren’t the only means for keeping your home clean and fresh. 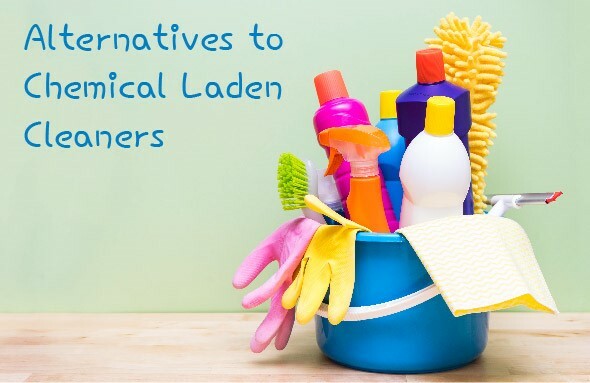 Homemade, non-toxic cleaning products are easy to use, fun to make, and are definitely better for us and the environment. Baking soda is great for deodorizing, shining, and cutting through grease and grime. Castile soap is made from plant oils and is useful to clean surfaces and wash dishes. Vinegar is a powerhouse cleaner that effectively eliminates soap scum, grease, and grime. Natural lemon juice is great for cleaning mildew and mold, as well as for shining hard surfaces. Lemon essential oil works well too. Olive oil is good for both cleaning and polishing. Pour all ingredients into a 16-ounce spray bottle. Shake well before spraying onto a surface, and then wipe clean with a towel. Do your skin a favor! The skin is the largest organ in the body, regulating temperature, sensing pain, and protecting it from trauma and outside dangers. As with any organ, it is important to pay attention to and nurture its health. One way to do this is to start a daily routine of dry brushing your skin in the morning before taking a bath or shower. Dry brushing is exactly what it sounds like – the brushing of the skin with a dry brush. The process removes dry, dead skin cells, leaving the skin fresh and new. 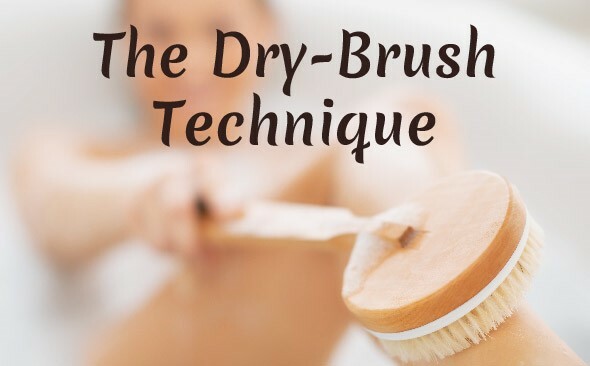 You may be thinking that adding another step to your already busy routine is too much, but in addition to baby-soft skin, the benefits of dry brushing go well beyond your skin. The lymphatic system is comprised of a series of nodes throughout the body that are connected to one another by lymph vessels. The nodes contain immune cells that help fight infection within the body or keep harmful substances out. Dry brushing can help to stimulate the lymphatic system which helps the body detoxify. Dry brushing with a natural bristle-brush helps to remove dead skin cells for softer, more vibrant skin. Dry brushing is said to increase circulation, which in turn leads to a nice post-brush energy boost. It might not be best to do at night, though! Also, when done properly, dry brushing feels great! When shopping for a dry brush you want to look for a brush with natural fibers, like the one found here. Start at the feet and brush in an upward motion, covering each section of your leg with 10 long, smooth strokes. To activate the lymphatic system, it is recommended that all strokes along the body be guided toward the heart or the center of the body. Repeat this process with the arms by starting at the hands and moving up toward the shoulders, brushing each section 10 times. For the torso and underarms, brush in a circular clockwise motion. For the face, a more delicate face specific brush is required as the body brush will be too harsh. Note: Brushing too hard can cause the skin to turn red or sting. Your strokes should be smooth and soft. It is uncomfortable, you are doing it too hard. 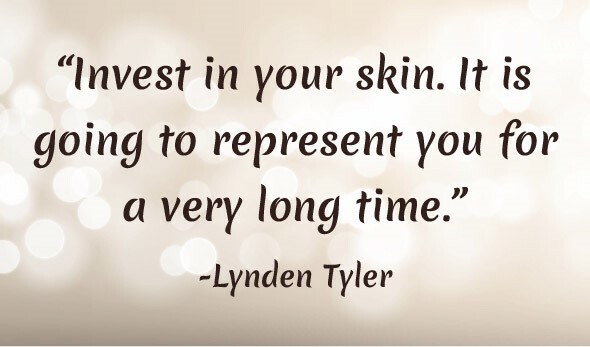 Take care of your skin and it will love you back. This topic concerns an important issue that I have personally struggled with. Many of us, myself included, realize that the plastic produce bags we put our veggies in aren’t great for the environment. And if like me, you have tried to forgo them, only to discover that your greens have wilted and your carrots have gone limp in the fridge, take heart. There is a solution! First, a little background. Plastic bags are made with non-renewable resources. They don’t break down in landfills, they’re difficult to recycle, and they are causing the senseless death of birds, sea life, and other animals on a catastrophic level. What makes this situation even more unfortunate is that these very damaging plastics are often intended for one-time use and are discarded as soon as they serve our purpose. In fact, nearly 60,000 plastic bags are being consumed in the United States every 5 seconds. That is a staggering statistic, and even though many stores have ceased to offer plastic bags for groceries, we are still filling our reusable canvas bags with fruits and produce wrapped in plastic produce bags. Such a practice doesn’t make much sense considering the deservedly bad reputation plastic has received over the last decade or so. Most items found in the produce section can easily be put in your cart without the bag, but often we use the bag anyway. This is because without the bag, we would end up with wilted vegetables in the refrigerator just a few days later. Well, not necessarily. 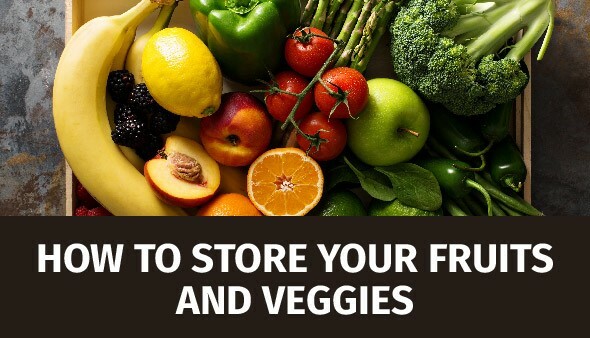 There are several newer companies out there selling reusable bags for produce, but you can also store fruits and veggies without the need for bags if you know how to best store them..
Leaving any top on root vegetable will draw moisture from the root, causing them to lose flavor and firmness. Be sure to cut off the tops before washing them and storing them in an open container with a wet towel over the top. Wrap in a moist towel and store in the fridge. Keep in an airtight container covered with a damp cloth in the fridge. Store loose in an open container in the crisper. Keep cool and use soon as possible. Store in a paper bag in the fridge for up to a week. Store in a cool place, but not in an airtight container. 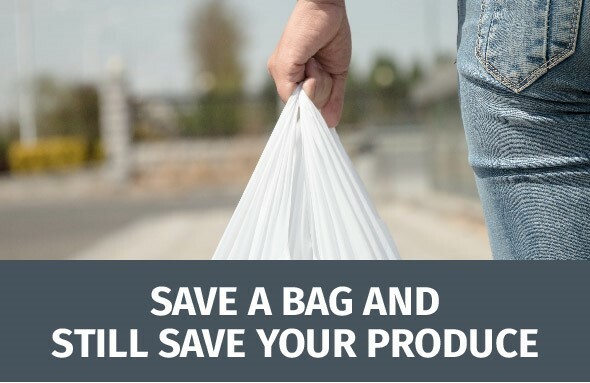 Of course, remember to bring your reusable canvas bags with you whenever you go shopping. My husband jokingly calls me a bag lady since I always keep several in the trunk of our car. Hey, you never know when you’ll need them. Now available! Click here to learn more and buy your copy. Click here to learn more and buy your copy. "Thanks again, the class was great. So many wonderful recipes! I will be watching the granola video and making notes. My daughters enjoyed it as well. It was great to be able to have them hear about raw food and taste wonderful creations from someone other than me! In fact I made a green smoothie for them this morning and they both enjoyed it. Before your class they would have balked. Now we have several recipes that they would like me to make." "Madeline's passion for raw food translates into an ability to simplify the complexities of all the choices associated with raw foods. And even better, she does that while making it look like fun!" "Madeline is a true teacher and cares deeply for Mother Earth and those who share it. 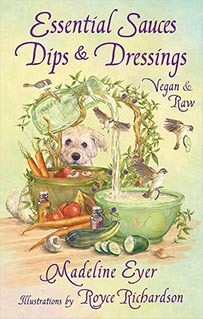 She is passionate in her love of raw food and shares her enthusiasm with those who seek her wisdom."